Adda247 brings to you an offer of Flat 30% Off on all its Test series, Video Courses & E books subscriptions and Flat 20% off on Live Batches and Publications. The sale starts on 30th March and ends on 31st of March. 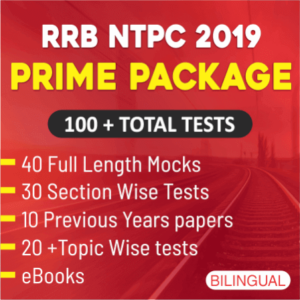 You just have to apply the coupon code EXAM30 for Test series, Video Courses & Ebooks and EXAM20 for Live Batches and Publications and there you go!! The present financial year is closing and with the start of new financial year you have various Job opportunities in various reputed Government Organisations. LIC AAO is scheduled to be held in the month of May and is a very good opportunity for all Government Job Aspirants. Also, SBI PO Notification is expected to be released soon. For SSC Aspirants, SSC CGL and SSC CHSL are also scheduled to be held in the upcoming months. This year we also have bumper vacancies in Railways with RRB NTPC, RRB Group D and RRB JE Recruitment exams to be held this year itself. And last but not the least, for Teaching also, CTET AND UGCNET are scheduled to be held in the upcoming months as well. So, there are ample of opportunities for you this year in various Government Job recruitments. Now you have no time to waste and its time to consolidate your complete energy into your preparations as the competition is not going to be easy. The only mantra to help you succeed is practicing with the latest pattern questions everyday and to help you with this, we at Adda247 provide you with the latest and updated study material and provide solutions to all your problems. 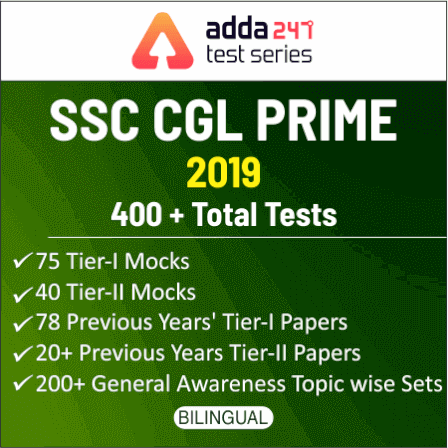 Adda247 test series incorporate a variety of problems that equate the level of commonly asked questions, previous year questions, and fresh pattern questions. Computer-based Test Series help you save your time as they simulate the real tests and let you know you how to attempt the examination in a way that you are able to attempt the maximum number of questions within the given time limit. The test series available on the store are for LIC AAO, SBI, RRB, SSC, CTET and many more competitive examinations. Adda247 brings to you an offer of Flat 30% Off on all its Test series, Video Courses & E books. The video courses of Adda247 cover up all the topics of each and every subject that you need to be excellent at for all the upcoming banking as well as SSC exams. Adda247, being cognizant of the needs of government job aspirants, has now come up with it with a cost-effective and efficient package of video courses that can be accessed anytime, anywhere without having to worry about the availability of a coaching center in your locality. These Banking and SSC Video Courses comprise of a complete package of video tutorials starting from basics to the highest level that one can go to while preparing for the competitive exams. And students, in this era of technology, E-books are the main source of information to students as they have simplified the education system by making it more convenient and affordable. As we know that online or distant education is very popular these days. It is the easiest as well as an economical option for those who don’t have enough of time or any other reason for not being able to attend coaching classes. In such circumstances, e-books come to their rescue and play a vital role in e-learning. On demand of aspirants, we are also giving a discount of Flat 20% Off on all Printed Edition BOOKS by Adda247 and Live Batches, the coupon code you need to use to avail this discount is EXAM20. This offer is also valid on 30th and 31st of March. So, students, there will be a discount of 30% on all the Adda247 Video Courses, Test Series, and Ebooks subscriptions and 20% Discount on Printed Edition Books by Adda247 and Live Batches. Subscribe while the going is good. It’s an opportunity to get better, don’t let it go waste. Avail the offer before its gone.